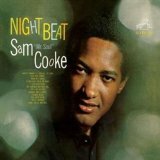 Night Beat is ranked as the best album by Sam Cooke. Members who like this album also like: Sgt. Pepper's Lonely Hearts Club Band by The Beatles, Odessey And Oracle by The Zombies and Rubber Soul by The Beatles. 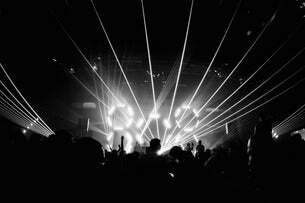 Cheatham Street Warehouse, San Marcos, United States. Related links: top tracks by Sam Cooketop tracks of the 1960s, top tracks of 1963. Showing latest 5 ratings for this album. | Show all 136 ratings for this album. This collection of songs--mostly covers--is Sam Cooke's guide to redemption: a carefully sequenced, soulfully crafted, soothing embrace for the lonely and down and out. Often overshadowed by the classic singles in Cooke's oeuvre such as "A Change Is Gonna Come," this album focuses on blues standards, though the strongest songs here are Sam Cooke's own original compositions, particularly the hard-boiled, downtrodden "Mean Old World." Almost unbearably perfect. Sam Cooke's voice may be the sweetest we've ever heard. It's easier to appreciate his voice on this album than on the greatest hits albums most people know him from. "Night Beat" from 1963 is considered one of Sam Cooke's best albums. Since the album does not contain any of Cooke's hits or best known songs, the cause of the album's reputation is rather achieved through its overall casual late-night blues mood. Cooke has written three of the twelve songs, and all three are among the album's strongest. Best known is probably "Mean Old World", which has both elements of blues and pop. "You Gotta Move" is also great with its light arrangement that allows room for a fine acoustic guitar. A young Billy Preston also helps to put his stamp on "Night Beat" - listen for example to his somewhat unconventional organ playing on "Little Red Rooster"
The traditional "Nobody Knows the Trouble I've Seen" is also given a refreshingly simple arrangement, again, the acoustic guitar clear in the soundstage. Some of the songs are perhaps a little too neatly arranged to be really interesting, but of course all numbers are well produced with Cooke's voice as the focal point. No standouts on this album, but it's chock full of rollicking r&b with the most effortless voice ever. A miracle. The voice of Cooke is prodigious and this album is his peak. Listen "Lost and Lookin'" or "Get Yourself another Fool" and take care with your spine and heart. Jerry Wexler said: "Sam Cooke was the best singer who ever lived, no contest. When I listen to him, I still can't believe the things that he did. It's always fresh and amazing to me; he has control, he could play with his voice like an instrument, his melisma, which was his personal brand - I mean nobody else could do it - everything about him was perfection. A perfect case".